13650 240th Avenue Spirit Lake, IA. | MLS# 18-1056 | Okoboji real estate guide, your source for complete listing information on Okoboji homes, Okoboji condos, investment property, lots and more! 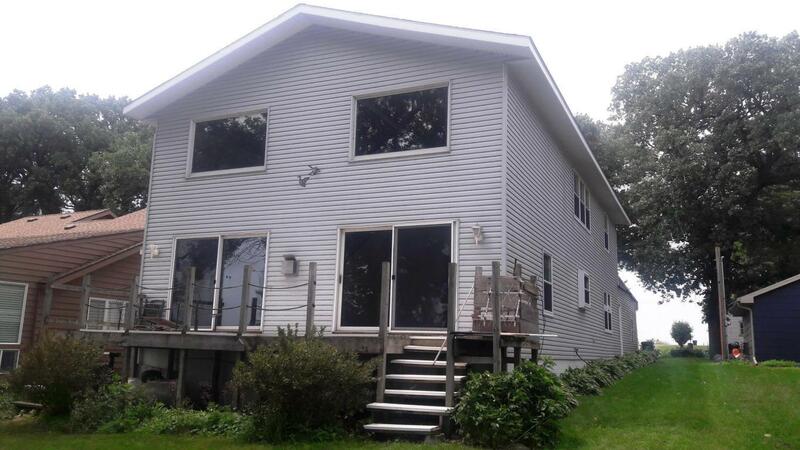 Spacious 4-bedroom, 2-bath home with awe-inspiring views of Big Spirit Lake! Electric home with ultra-efficient geothermal heat, Central A/C, Kozy Heat Fireplace, cathedral ceiling in living room, open floor plan and more! Full, unfinished basement, plus a loft/playroom above the garage! Directions: West Side Of Big Spirit Lake On 240th Avenue.